There is a website for all the information related to income tax and income tax returns. Information on this website is owned by Income tax department, Ministry of Finance, Government of India. 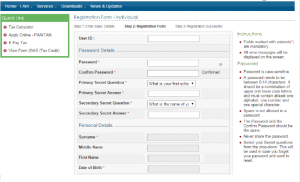 Why do we need to register on income tax website? We need to register on income tax department to get benefits of services like e-filing Income tax returns, to know about previous IT returns e-filed, status of demand/refund if any and file rectification. 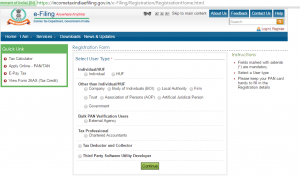 How to register on income tax e-filing website? To register an account on income tax website, a person must have a valid PAN card number, Mobile number and email ID. Select User Type – Click Individual radio button and select Continue. Select Individual radio button and click continue. Enter Basic details like Surname, Middle name, First name and Date of Birth. 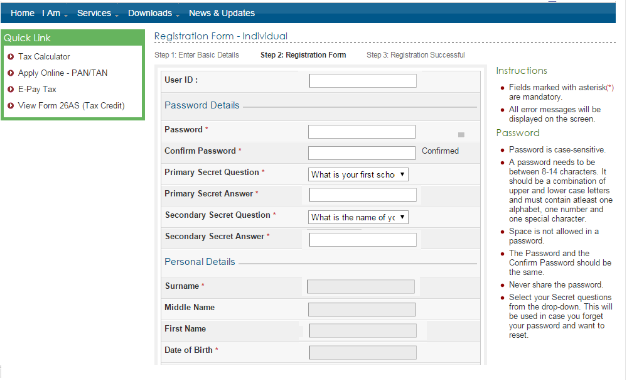 Enter details on Registration form like User ID, password and security question. Keep note of security question as it is required in case you forget password. Once you fill details and click continue, You get confirmation message on next screen. You will receive a mail with the activation link to your registered email address. Click on the activation link. Your username is your PAN. Enter the one-time password you have received on your mobile phone on the screen. You would have successfully registered with the Income Tax Department website. 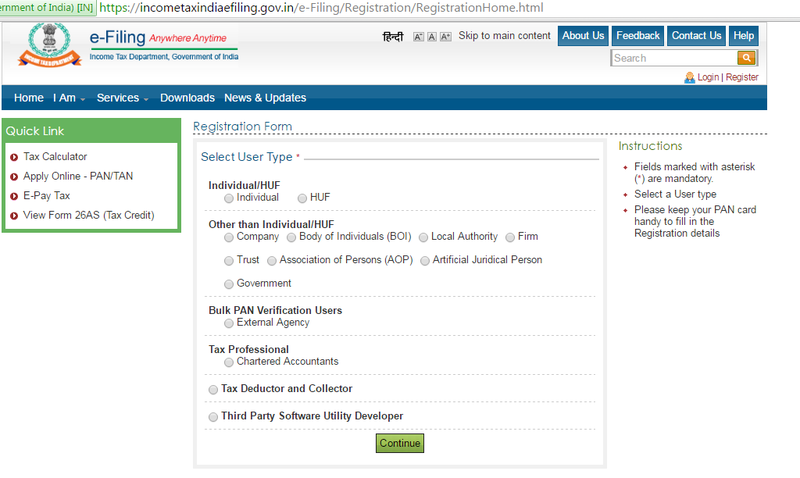 You can now login to your account to access your ITR-V, view e-filed returns and e-verify your income tax return.